Marketing your home is made easy by our competent real estate services! Selling Las Vegas luxury homes in Nevada is a daunting process that many homeowners must go through. It can be a struggle from home preparation, to paperwork, to advertisement, and to home closure. Good thing there are real estate agents geared to help sellers market their homes successfully. Triumph Luxury Homes, headed by trusted broker Kami Zargari, is composed of experts on luxury homes in Las Vegas who are qualified in handling real estate selling needs. 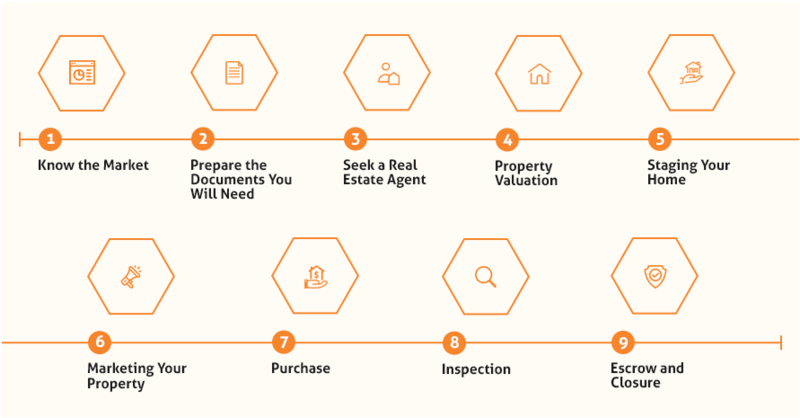 Here are some house-selling essentials to help you achieve a hassle-free sale of your precious property! Preparing yourself of the market you will venture into will be a great advantage. Research about the Las Vegas real estate market reports to familiarize yourself of the latest trends and current home prices. Be smart when choosing a real estate agent as he or she is your companion in the home-selling process. Finding the right real estate agent will increase your chances of your home being purchased. When looking for Las Vegas luxury homes real estate agents, you must interview them precisely and examine their background, experience, and proposed commission. A real estate agent should not necessarily come from a large real estate company, but he or she must be someone with an expertise on residential homes and focused on achieving your goal. Also, do not go for real estate agents who offer questionable commission as you might get equally questionable representation. For a wider perspective, you can look through other luxury homes for sale in Las Vegas to evaluate and compare. Make sure that your home price is realistic for your property to move smoothly in the market. Before putting the SOLD sign on your lawn, make sure that your house is clean, organized, and well-adorned. This way, if there is an open house event, people will be impressed and will most likely remember your home during purchasing decisions. You can increase your home’s value by updating your house through painting, repairs, and low cost improvements. When a price is set and the home is desirable, you and your real estate agent will have to create a marketing plan where listings of your home, advertisements on websites, newspapers, and magazines will be publicized. Once your home is up for purchase, you and the buyer will enter a contract called Purchase and Sale agreement wherein terms and conditions about the sale is enclosed. Signing should subsequently follow. During negotiations, a home inspector will check every aspect of the home, from the construction to infrastructure, to see if improvements and repairs are needed. When agreements are finally settled, the property will be put into escrow where a third party handles all the deeds, contracts, and financial aspects to ensure a smooth transaction. When the purchase is complete, a closure of the property sale will occur. Real estate is a complex industry that can harm your chances of selling your luxury home if not navigated right. Do not let your selling investments be put into waste! Make the right preparations and work with professionals! Triumph Luxury Homes is a premier real estate agent company that will work with you in every step of your selling journey! Get in touch with the team now by calling (702) 799-9999 for your real estate selling inquiries! For inquiries, comments and suggestions, feel free to send us a message.